It wiggled it’s way through a baby’s nasal passage and came out of his FACE! In Haiti, our medical team sends most patients through the “deworming station” after being seen by a doctor or nurse. There, they enjoy a pill, a dime sized peanut butter snack and a cup of water. The mother of this child was not expecting a 5 inch worm to pop out of her baby’s face. None of us were. So when she brought the worm to us in a bottle the next day, STILL MOVING, we were all surprised. There was an overwhelming sense that what she brought was more than just a worm in a bottle, it was a symbol. The day before, it’s home was inside of a three month old child and now it was homeless. We were making a difference. Our bus rolled into Capva on a “clothes optional day”. The resources in this tent community are so limited that often times kids have only one or two articles of clothing, and this was the day to clean them. Our clinic saw over 160 patients that day as the kids ran around chasing bubbles, posing for pictures, and jumping into our arms – some naked, some not. I cannot describe the tension that I feel when I think about our time at Capva. The joy was overpowering, even in the midst of severe poverty. Come June, Capva will be evacuated and the land will be turned over to it’s rightful owner. My prayer is that this wouldn’t be an action that pushes the residents into a deeper realm of poverty, but it actually empowers them to be successful and to have food, water, clothing, education, and really freakin’ good shelter. They’ve been camping long enough. They don’t deserve to be pushed to the margins of society. May they come out of there knowing that they belong, and they are magnificent sons and daughters of God. UPDATE: I recently wrote a blog titled “Treating A Death Sentence”. In it I reference a man in Onaville who is battling a cancer that is eating away his chest. He came back. With the supplies we gave him last month he has been doctoring the wound, and though it is very deep, it isn’t nearly as infected as it was, which means he is living in less pain. :) We prayed together again and he was sent away with more supplies and money to get a test done at the clinic in Port Au Prince. Say a prayer for Joseph. I would love to have any of you back on a trip with me. 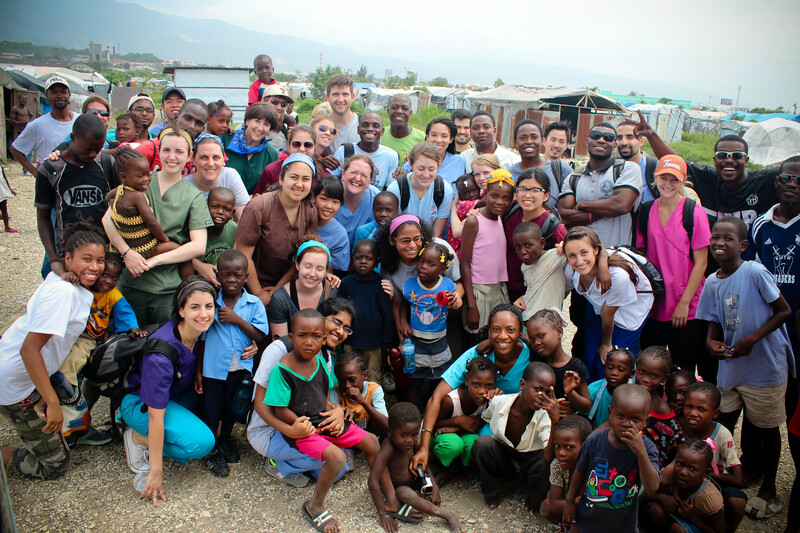 Continue to share your stories of Haiti. I love you. God bless you.